Rope come a longs are a good option if you need to pull something heavy that you can’t pull by yourself – unless you are some kind of action figure. They are easier to use than the steel cable varieties and powerful enough to fulfill any pulling task you have lying around. With a rope puller, you can run the whole length as needed and are a source of mechanical advantage in tree pulling. Apart from forestry, you can use rope pullers in building and farming. They also make a decent choice when you are working in places where the risk of electrical shock is quite significant. 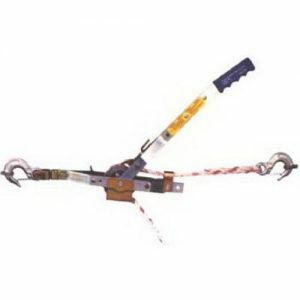 Another reason for choosing a rope puller over a steel cable is their flexibility in extreme cold. Well, when it comes to selecting a rope pullers brand, Maasdam is at the top of the list. The following is a review of one of the best rope pullers you will find anywhere.